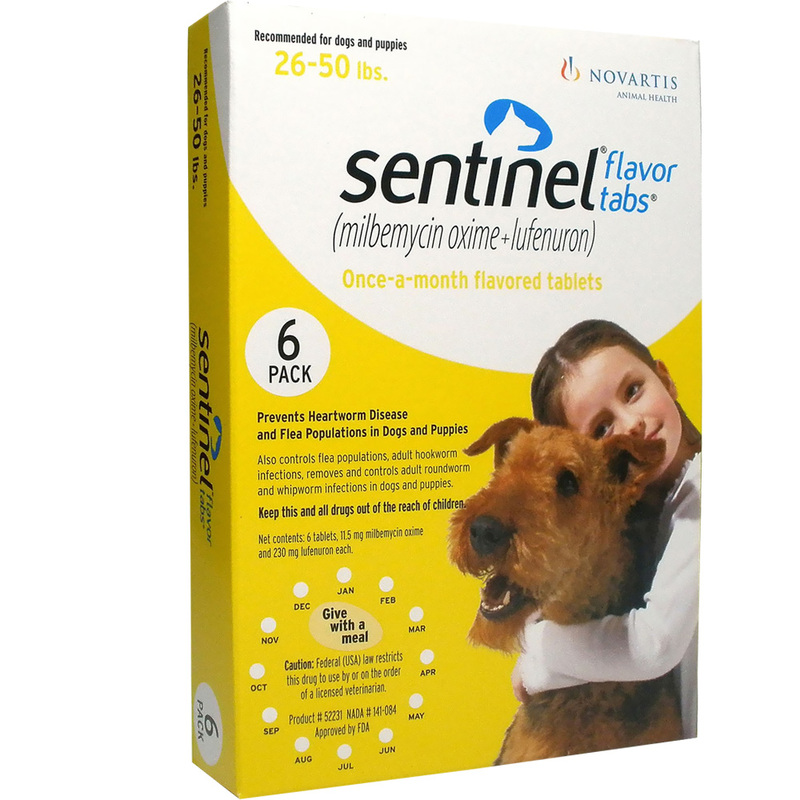 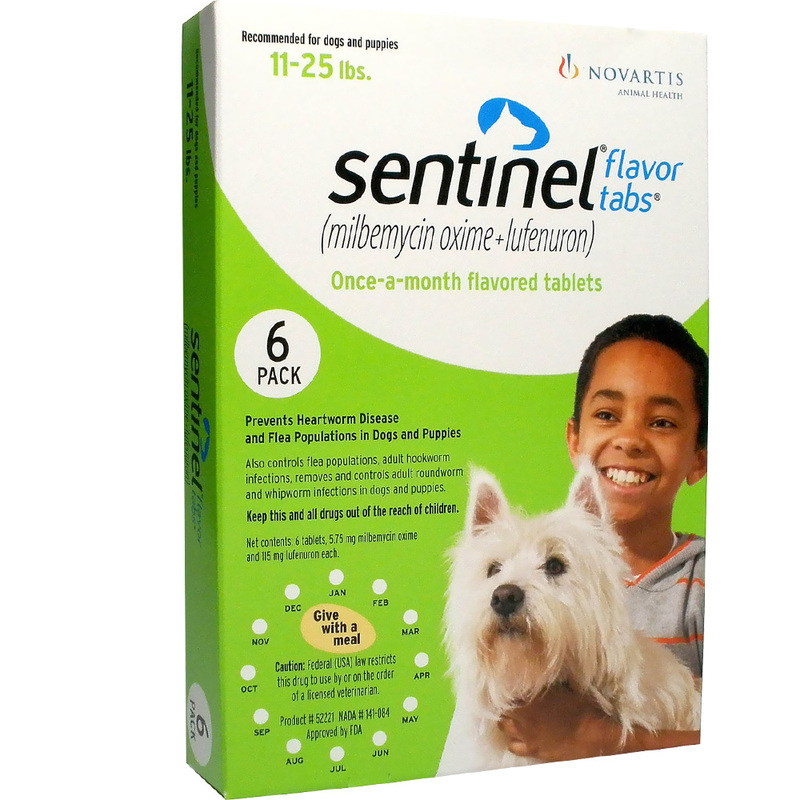 Sentinel Flavor Tabs for Dogs provide monthly flea & heartworm protection in a tasty, chewable tablet. 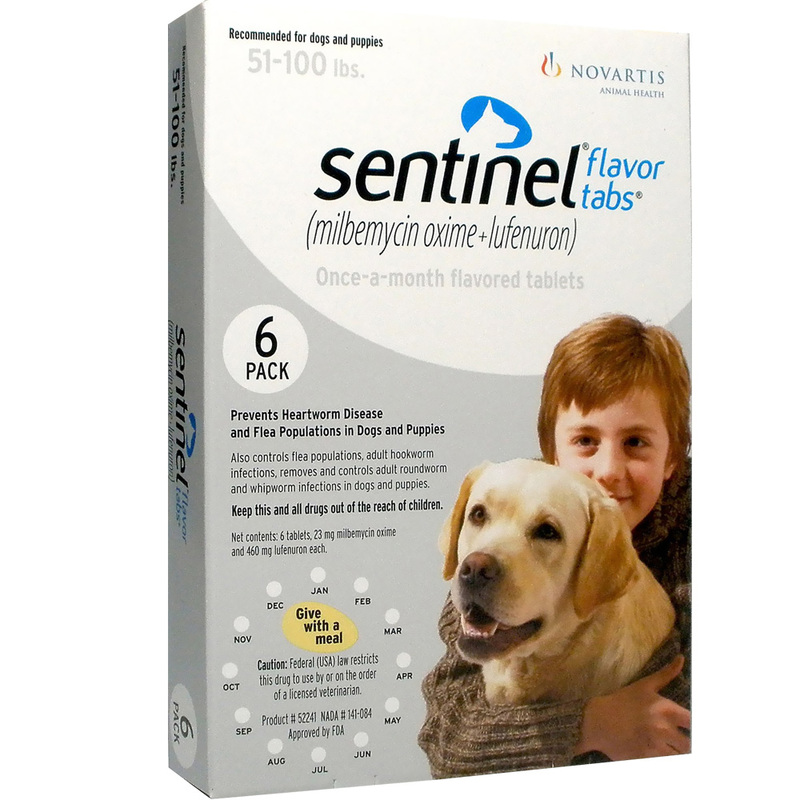 Give dogs Sentinel as a treat with or without food, or crumble into food as necessary. 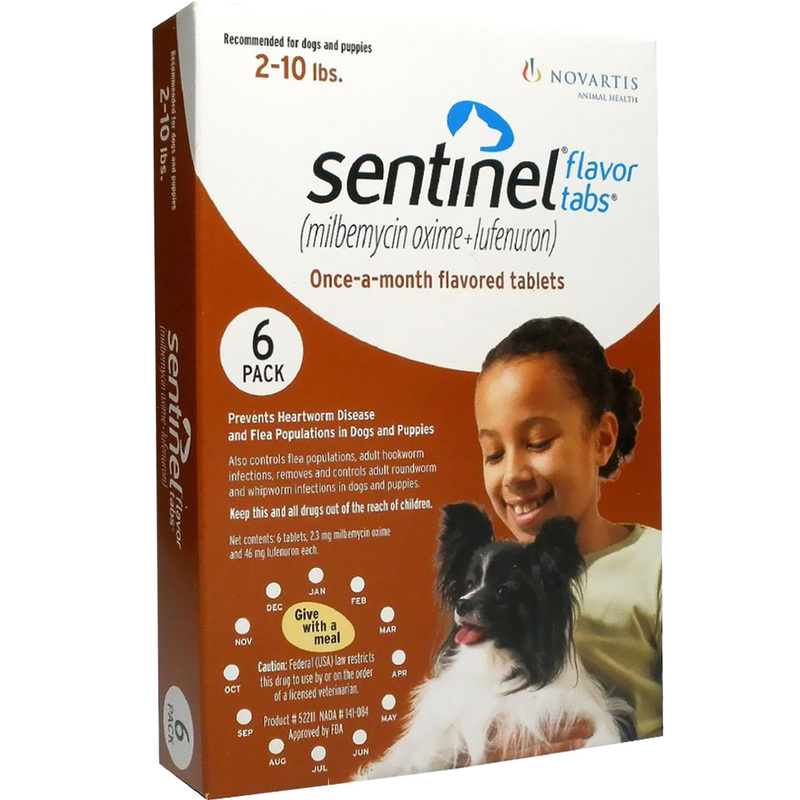 Dogs 11 pounds and over should receive 1.5 tablets as a dose, while dogs 5-11 pounds need only one tablet.